Will Sleeping With Makeup On Actually Age Your Skin? This writer decided to find out. Lecturing people about taking their makeup off before bed is the average beauty editor&apos;s favourite pastime (second only to hysterical evangelism about sunscreen). But don&apos;t worry—this isn&apos;t going to be a lecture. 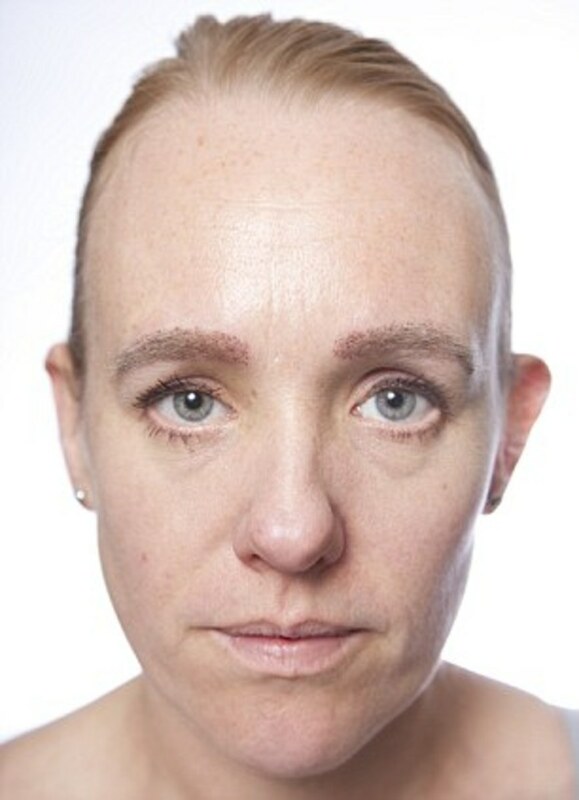 Instead, I want to talk about some of the claims coming out of the latest Daily Mail sensationalist beauty piece, about how 40-year-old writer Anna Pursglove aged herself by an incredible 10 years in four weeks... all, apparently, from wearing her makeup to bed. 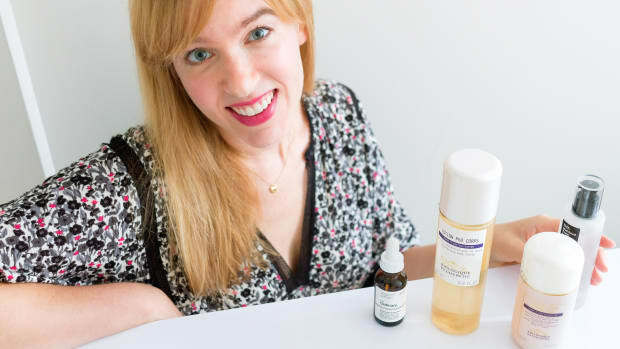 "I would give my face a cursory wash in the shower each morning but I would be allowed to use none of my usual cleansing creams, and would have to reapply new make-up over the remnants of the old each day." She&apos;s wearing makeup here, so it&apos;s impossible to really assess the true condition of her skin going into this. To me, it looks like she has some minor inflammation (redness), fine lines, sagging and pigmentation. 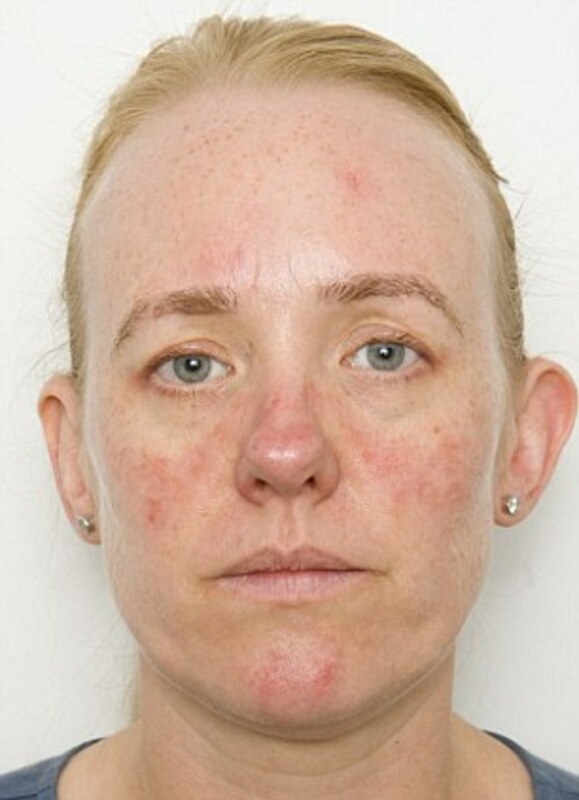 So this is what 10 years older looks like—at least according to the dermatologist in charge of the assessment. Not good, but in a way there are aspects of her skin that I actually think look better in the "after" picture! Yes, there is a ton of redness and all of those inflamed patches, but I also think her skin has a healthier colour and appears firmer, the pores aren&apos;t so visible and the under-eye area doesn&apos;t look as puffy. Then again, it could just be that I don&apos;t like her makeup job in the "before" photo—that under-eye mascara really drags her face down and I have no idea what&apos;s happening above her eyebrows. But really, it&apos;s impossible to tell just from photos because the lighting and angles here are not consistent. So I want to examine all of the problems the dermatologist identified after a month of this "routine," one by one. Does sleeping with makeup on give you drier skin? Anna&apos;s skin was very flaky and dry by the end of this, particularly on her cheeks, and she had cracking at the corners of her lips. The derm identified a five percent decrease in moisture levels, which resulted in a 10 to 20 percent worsening in skin texture. Well, duh! She didn&apos;t use moisturizer at all for a month (and I guess no lip balm either), so how is this the left-on makeup&apos;s fault? When women go the occasional night without washing their faces, I guarantee that 99 percent of them are cleansing properly, following with moisturizer, in the morning. 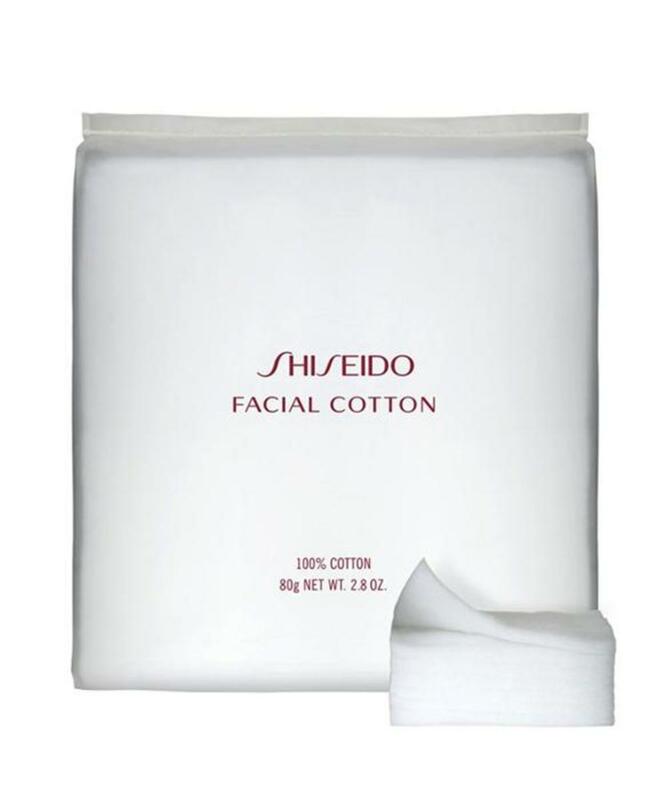 The other thing to mention is exfoliating, which many women do with manual or chemical exfoliants, or just by the act of rubbing with a face cloth or towel after washing. If Anna wasn&apos;t doing this, then it&apos;s no wonder that the dead skin cells built up and contributed to the dryness, along with a duller texture. Does sleeping with makeup on give you wrinkles? 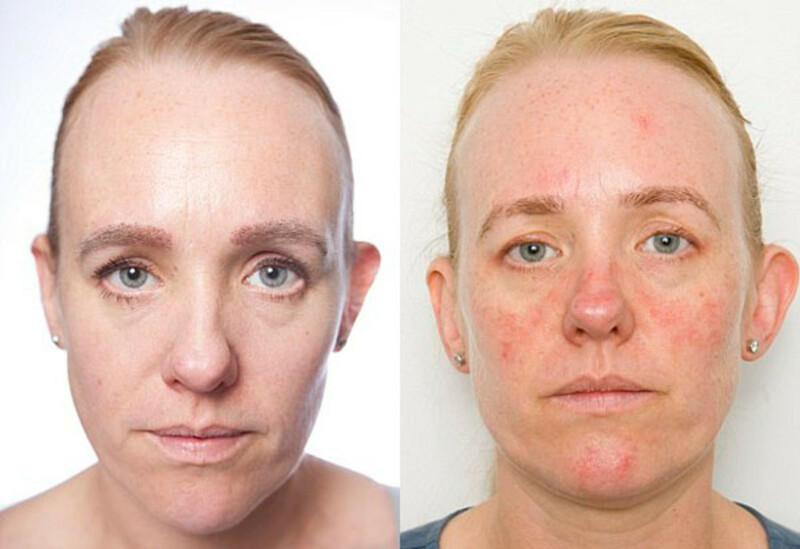 Another claim by the dermatologist was that Anna had developed deeper wrinkles, not on her forehead but on the left and right sides of her face. I can&apos;t tell from looking at the pictures, but this is where her skin became driest—so it makes complete sense that the wrinkles would become more visible there too. The whole moisturizer avoidance thing is a CLASSIC skincare company trick to get you to believe that their products are doing something. Not all of them, but many will run studies where the participants have to avoid moisturizer completely for a week or so before starting the trial of the new product. Obviously there&apos;s going to be an improvement regardless of what fancy ingredients are in it, because moisture plumps up wrinkles. Simple as that. 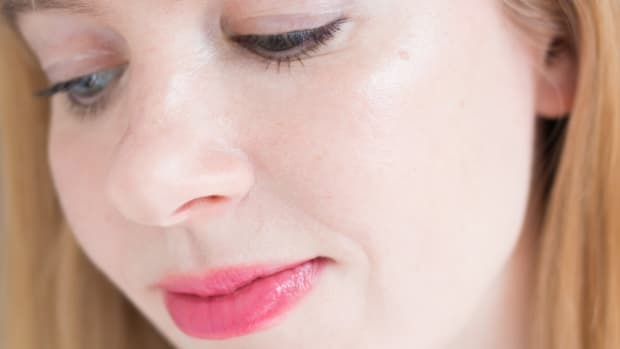 So again, it&apos;s not the makeup&apos;s fault—just common sense that if you skip a night of moisturizing, then your skin won&apos;t be as plumped-up in the morning. Does sleeping with makeup on increase redness and irritation? Anna&apos;s already sensitive skin became two percent more red, which the derm said was a sign of irritation. 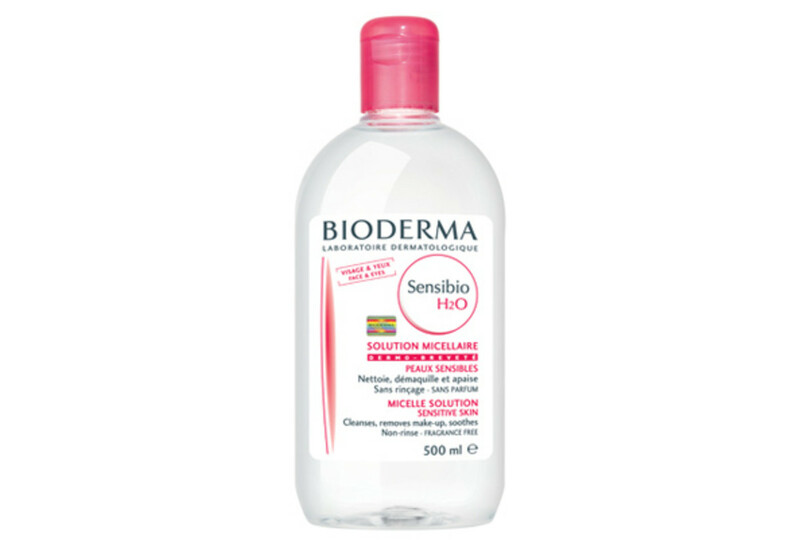 The makeup forms a barrier over the skin that locks in irritants and keeps out moisture, exacerbating any allergic reactions. I absolutely agree—although two percent is not very much and this is from an entire month of the behaviour (which is not a realistic way that women care for their skin). Still, I think that us sensitive types need to be very careful whether it&apos;s day OR night. I&apos;ve had allergic reactions develop out of nowhere, even with products I&apos;d been consistently using (like Touche Éclat! ), so leaving them on overnight could increase the risk. The other thing to consider is your eyelashes. 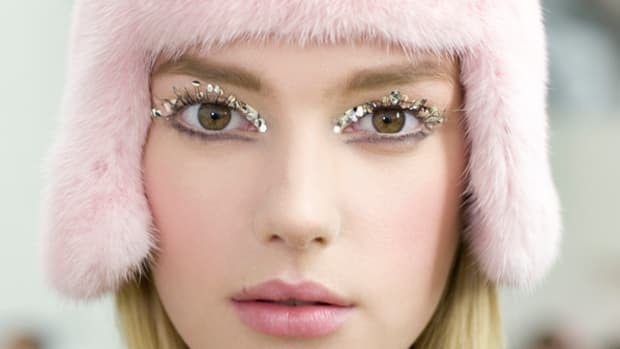 Without properly removing her mascara, Anna&apos;s started clumping together, she developed eyelash dandruff and even woke up with a swollen eye one morning (due to a mascara-coated lash getting caught in it). God forbid, you could even develop an eye infection. That alone is enough reason for me to diligently remove my makeup every night! I was using these products just for removing eye makeup, but that morphed into doing my whole face with them instead of regular cleanser! It works, it&apos;s easy and it feels like less effort than having to splash around in the sink. I don&apos;t think I&apos;ve washed my face at night with gel cleanser for probably four months! 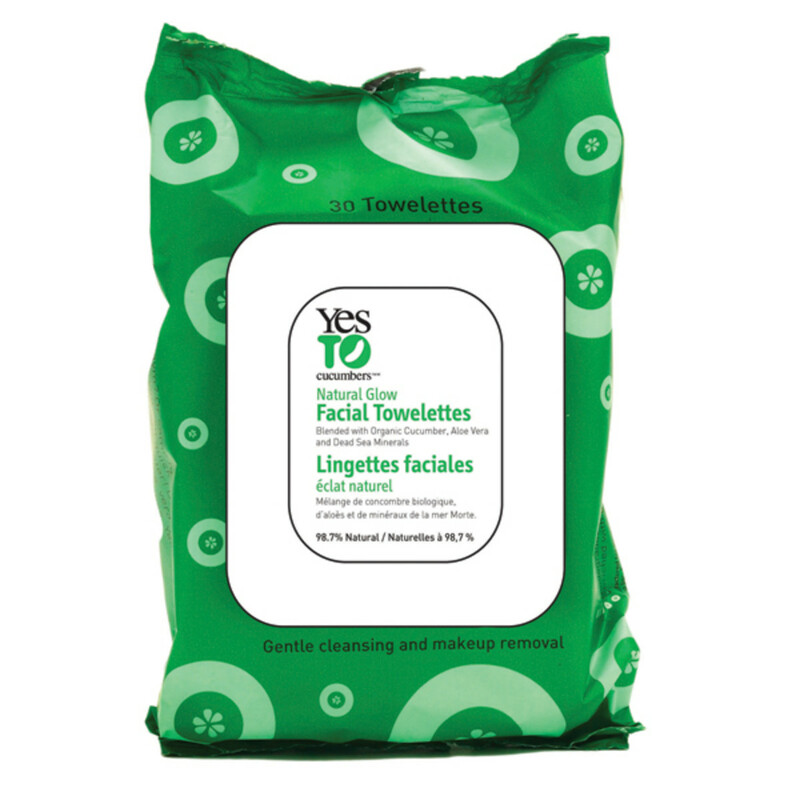 They&apos;re really gentle and work great at removing even stubborn eye makeup, but won&apos;t dry out your skin. Does sleeping with makeup give you larger pores? 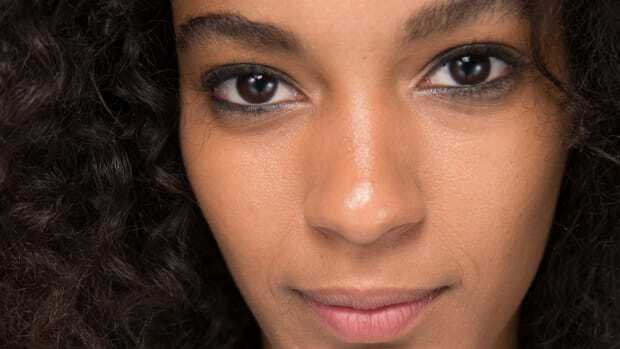 "Older people naturally have larger pores because, with age, elasticity decreases so the structures that support the skin, and keep pores tight, become slacker." Huh? I don&apos;t get how elasticity can be affected in just one month from not washing your face. But still—I am in agreement that leaving on anything that is potentially pore-clogging isn&apos;t the best idea. 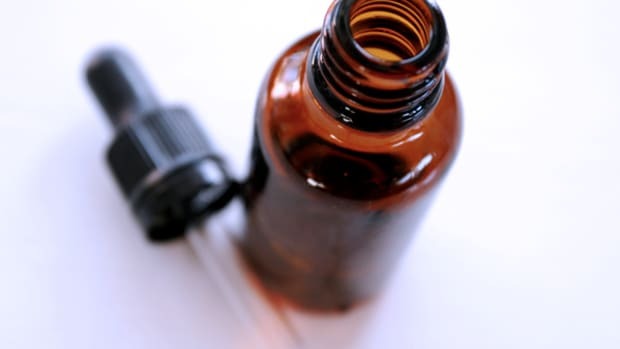 People with acne-prone skin need to be especially careful about removing all traces of makeup (along with the day&apos;s oil left on skin). Even changing your pillowcases more often can make a difference. Don&apos;t get me wrong; I&apos;m not advocating sleeping with makeup on by any means. But hey, it happens! And I don&apos;t think it&apos;s the horror show that the Daily Mail is suggesting here–at least not if you&apos;re only doing it on an occasional basis, which I think is how it happens with most of us. Plus, like I said, most of us double-up on cleansing and moisturizing the day after we sleep with makeup on—not pile more on over top! That&apos;s just not realistic behaviour. I don&apos;t personally know any women who don&apos;t wash their faces or use moisturizer, EVER—but if they&apos;re out there, I&apos;m guessing they probably don&apos;t wear makeup either. So the chance of clogging pores and developing infections and allergies is much less. As far as aging goes, skipping moisturizer and leaving dry skin to get drier and drier appears to be the worse skin sin than the occasional late night without cleansing. Do you ever sleep with makeup on or are you religious about your routine? What do you make of Anna&apos;s experiment? Do you think skipping moisturizer is worse than sleeping with makeup on? Suggestions for a reactive complexion. Dry skin, begone! Plus my winter skincare regimen revealed. Your game plan for repairing summer skin and preparing for cooler temps. Do You Really Need to Wash Your Face? The answer might surprise you! Investigating the case for cleansing—or not. 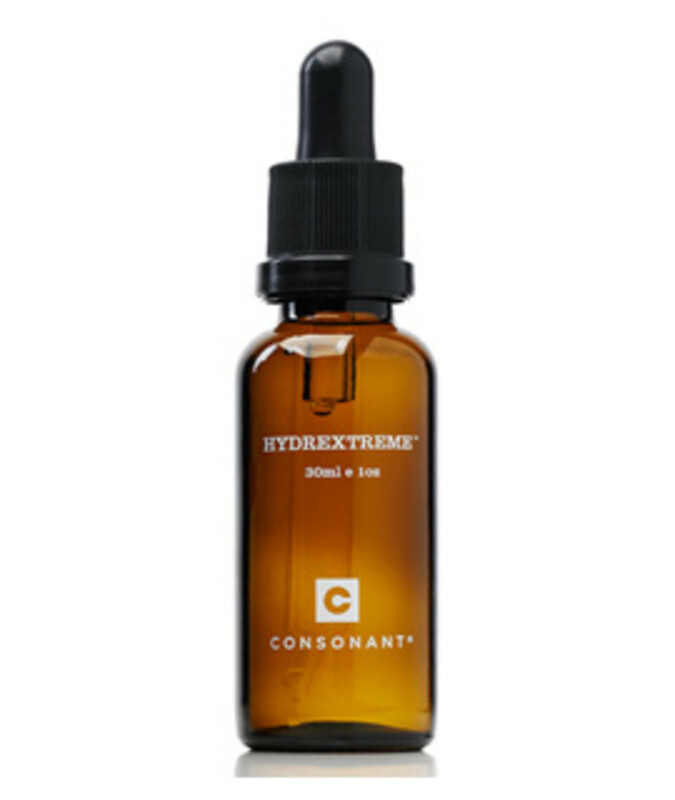 Does Your Skin Need Hyaluronic Acid? 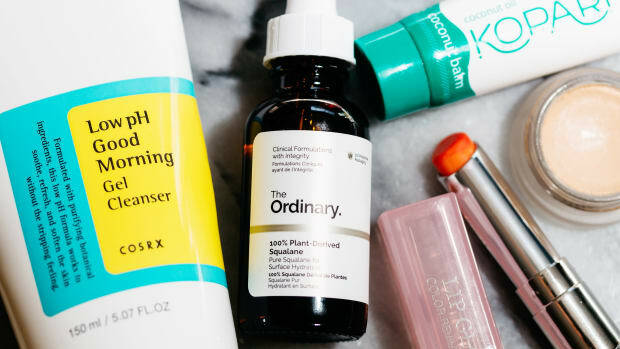 Hyaluronic acid is the hottest ingredient in skincare right now—but how well does it actually work as a moisturizer and wrinkle-plumper?